This article will show you how to achieve the goal - download movie files from ipad onto itouch 5 - for sync and backup purposes. I got a new computer because I broke my old one. I need to download movie from iPad to iTouch 5. But all of my movies are downloaded from YouTube, which have not been saved on my movie library. how can I download movie from iPad to iTouch 5 without having to redownload all my movies? 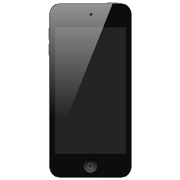 In most cases, iTunes is the native movie manager program for populating iTouch 5 multimedia content. It's pretty enjoyable to use iTunes to import movies onto iTouch 5. But if you want to download movie from iPad to iTouch 5, you have great chance to get mad with iTunes. 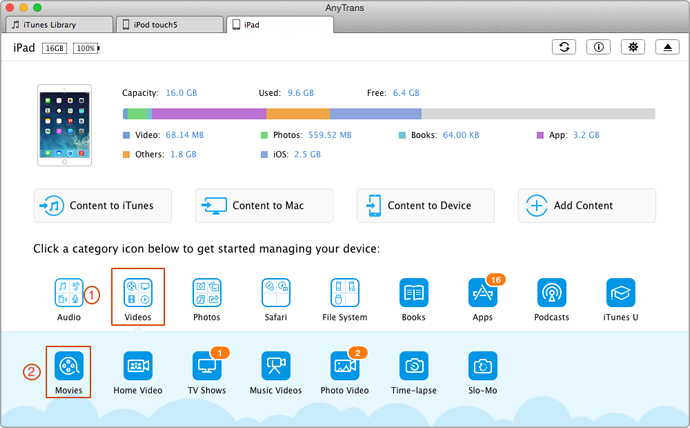 So this iMobie Guide aims to tell about how to download movie from iPad to iTouch 5 with AnyTrans. The tool you need is AnyTrans. 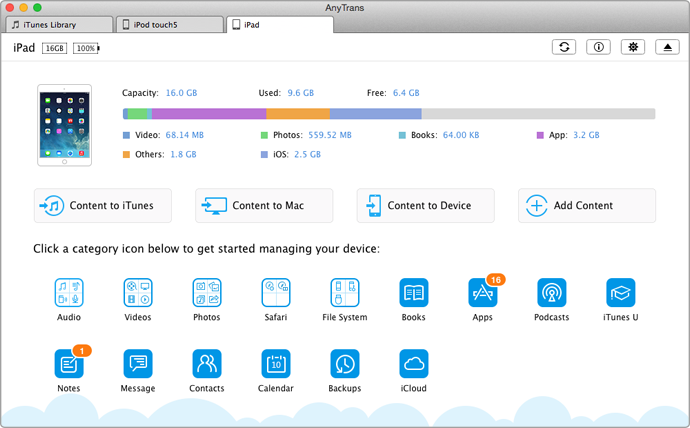 This all-around and powerful app is made to manage your iPhone/iPad/iPod without any iTunes limits. 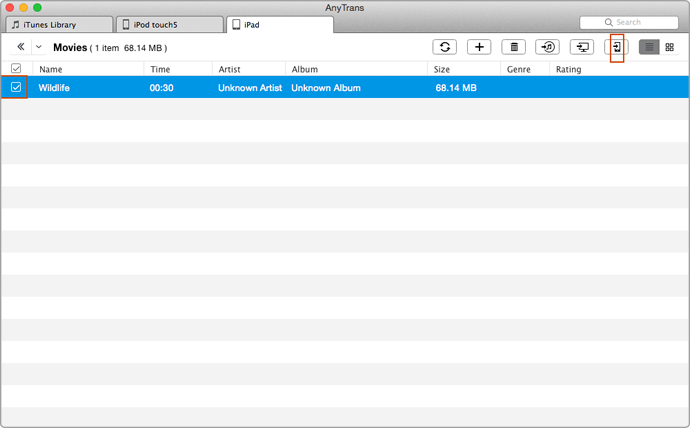 If you'd like to add PDFs from a work PC to iPad or move movies from iPad to iTouch 5, or transfer music from iPod to computer for backing up, thanks to AnyTrans, there is no need to scruple about previous content being erased. At last, you can highlight target movie files and click To Device option on the top of AnyTrans. To download movie from iPad to iTouch 5 will get done pretty soon (largely depends on the volume of files that you want to transfer). iPad - The iPad is a line of tablet computers designed by Apple Inc., as a platform for audio-visual media including books, movies, music, games, apps and web content.